Newington CT Chimney Sweeps service all fireplaces, inserts, stoves, chimneys, furnace flues, & venting systems in the town of Newington and in the greater Hartford region. If you live in Newington CT and are looking for a reliable chimney contractor that can provide chimney sweep & chimney repair services for your fireplace and chimney systems, contact Northeastern Chimney, Inc. We only employ sweeps that are CSIA certified & trained to provide services like chimney cleanings, tuckpointing, masonry repairs, chimney rebuilding, chimney lining installations, and more. Our great service means that we've earned an A+ rating for chimney service in Newington CT and Central CT. From routine chimney cleaning or maintenance to complex repairs and rebuilding, you can count on us. With 30 years of experience in the chimney sweep industry, we serve residents in Newington CT, Bloomfield CT, West Hartford CT, Simsbury CT, Farmington CT, and all of Hartford County. Our excellent customer service and workmanship has earned us a great reputation with the locals. We have served thousands of happy customers; many of whom have referred us to friends, neighbors, and family members. You can’t miss our distinctive company trucks as they travel up and down Rt 5, Rt 9, & Interstate 84, and along US 6 or the Berlin Turnpike. Our certified chimney sweeps drive all over Central Connecticut to provide chimney services like chimney cap installation, chimney liner replacement, chimney repairs, and chimney cleanings. Established in 1984, we have stood behind every job we’ve completed and that’s why we’ve become the chimney sweep of choice for residents in Hartford County, CT. Residents in Newington CT and the Wethersfield, Rocky Hill, Berlin, New Britain, Farmington, and West Hartford area trust in us to deliver quick service, fair prices, and extremely high-quality workmanship. We will always provide a written estimate and will explain in detail any recommended services so customers know exactly what they can expect. Don’t fall for the “cheap sweep” scam. Fake “chimney sweeps” have been calling homeowners, offering hard-to-beat prices on regularly chimney cleanings and inspections. These so-called contractors are not certified and almost never insured. Their whole goal is to get the job so they can then upsell the homeowners on expensive chimney repairs. 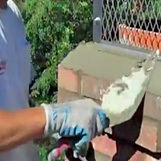 Many times, these repairs aren’t required or necessary, but since many homeowners aren’t familiar with the anatomy of their chimney and venting system, they must take a contractor at their word. Don’t agree to any extensive chimney services or repairs without getting a second option from a reputable chimney sweep company first! Since most of these “cheap sweeps” are not qualified to work on your chimney, you may be putting yourself and your home at risk if you hire them. Every chimney sweep technician is certified by CSIA and each job is completed to the highest of standards. Our company is fully insured and our professional technicians will always arrive to the job site on time, in a company uniform, and in one of our brightly-marked company vehicles.